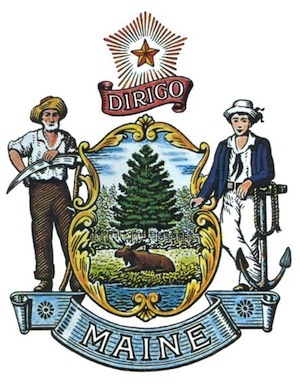 On June 5th, the Main House of Representatives voted 143 - 0 in favor of LD 1185, the Maine bill to provide state planning and implementation grants for local municipal networks. Representative Norm Higgins, the sponsor of the bill, contacted us to let us know about the incredible support for the bill. LD 1185 proposes to provide $6 million this year for local communities seeking to establish networks that want to take advantage of the state's middle-mile network, the Three Ring Binder. The House amended the bill to include general goals for the fund and its purpose in bringing better connectivity to Maine. The amendment also creates specifications between planning and implementation grants and establishes caps on awards. Planning grants cannot exceed $25,000 and implementation grants cannot exceed $200,000. Implementation grants require a 25 percent match from the requesting municipality; planning grants require a one-to-one match. The amendment is available online. Now that the House has put their stamp of approval on the bill, it is up to the Maine Senate to approve the measure and send it on to the Governor. According to Higgins, it appears to have strong bipartisan support; funding is the only area of uncertainty. He anticipates it will be before the Appropriations Committee within the next two weeks.